The acanthocephalan parasite Plagiorhynchus cylindraceus has a global distribution and utilizes isopods and birds as intermediate and definitive hosts, respectively. Occasionally, mammals of various orders can act as paratenic hosts. In hedgehogs, severe cases have been reported in juvenile specimens due to secondary infections, as a consequence of complete penetrations of the intestinal wall by cystacanths. 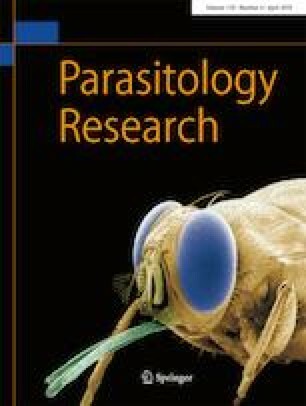 In a 66-month study period, we found seven larvae of this parasite encysted in both, the peritoneal cavity and intestine of the Algerian hedgehog, Atelerix algirus in Majorca. Morphology alone was insufficient to identify the species, due to the lack of previous reports and taxonomy-informative characters. In the present report, we combined the use of morphology and the DNA-barcoding approach to confirm to identify cystacanths as P. cylindraceus. This is the first report of this parasite in this hedgehog species. The epidemiological implications will be discussed, including the risk of zoonosis and the importance of using modern approaches to identify immature acanthocephalan larvae in wildlife hosts. Alejandro Garcia-Salguero and Sofía Delgado-Serra contributed equally to this study. The online version of this article ( https://doi.org/10.1007/s00436-019-06299-6) contains supplementary material, which is available to authorized users. We thank to all members of the COFIB for their collaboration and enthusiasm in the development of this study. We truly appreciate the collaboration of the members of the Cell Biology and Botany laboratories from sharing their molecular laboratory facilities. We would also like to thank the SOIB JOVE program for funding the contract of SD. Finally, we thank Ursula Paredes and Richard Abel for their thoughtful criticism to the manuscript.